Divorce is the legal mechanism that ends a marriage, following which you may legally marry a future (or current) partner. 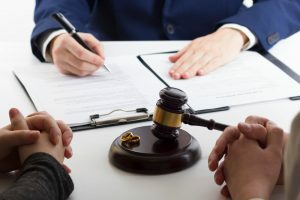 While many family law issues can be dealt with outside of court, a divorce can only be obtained with a judge’s signature. Ultimately, there are three routes to getting divorced. The joint divorce application is brought by both parties on consent. It may deal with corollary issues such as child and spousal support and property division, so long as both parties consent to everything claimed in the application. This option is generally used when the parties have already entered into a separation agreement, or where the corollary issues do not exist; i.e. the spouses do not have kids or property. When a divorce is not proceeding jointly, the party seeking the divorce commences an Application with the Court. The opposing party must then be served, after which he or she has 30 days (or 60 if outside North America) to respond. The divorce becomes “contested” when the opposing spouse files his or her responding court documents within the prescribed time limits. There is no separate form or process for an “uncontested” divorce. Rather, the moving party spouse commences the same divorce application as mentioned in #2 above and serves it on the opposing spouse. The divorce becomes “uncontested” when the opposing spouse does not file an Answer according to the required timeline. Once the time limit has expired with no responding materials, the Court assumes that the opposing spouse does not contest the divorce, at which point it becomes “uncontested”. Divorce orders ordinarily become effective 31 days after being granted, after which you are legally capable of marrying another spouse. Proceeding to court – even when both parties are on the same page – can be daunting. Many people first attempt to navigate the process themselves only to find themselves in a lawyer’s office down the line. Nussbaum Law is experienced in ensuring divorces get taken care of in a timely manner. We offer competitive flat rates which include preparing, commissioning, and filing your documents with the court, serving them on your spouse and setting the divorce down with the court. Please do not hesitate to contact our experienced lawyers for more information.